Most iPhone monitoring software will require an iPhone to go through the jailbreak process before installation. However, mSpy provides iPhone users with a solution called mSpy without Jailbreak, so monitoring can occur without going through this process. Most manufacturers place restrictions on software that can be uploaded to their products. Apple will only allow software that comes from their app store. This restriction is also put in place for security reasons. When you jailbreak an iPhone, you are overriding the restrictions placed on the phone by the manufacture. This will then allow you to run whatever software you wish, and make changes to the operating system. You will gain root level access. This type of access is not possible without jailbreaking the iPhone. You can find out more about how to jailbreak your iPhone here. What Are The Risk of Jailbreaking an iPhone? When you gain root level access, there is potential for security risk. However, if the phone is properly secured by the user, than these risks will not occur. So, if you are going to jailbreak an iPhone it is important that you know how to properly secure the device. Other risk includes, apps requiring more data and decreasing the battery life of the iPhone. mSpy knows and understands the risks that could be associated with jailbreaking an iPhone. Therefore, they offer solutions that everyone can be comfortable with. When you need to monitor cell phone activity, but feel uncomfortable with jailbreaking the iPhone, mSpy has you covered. 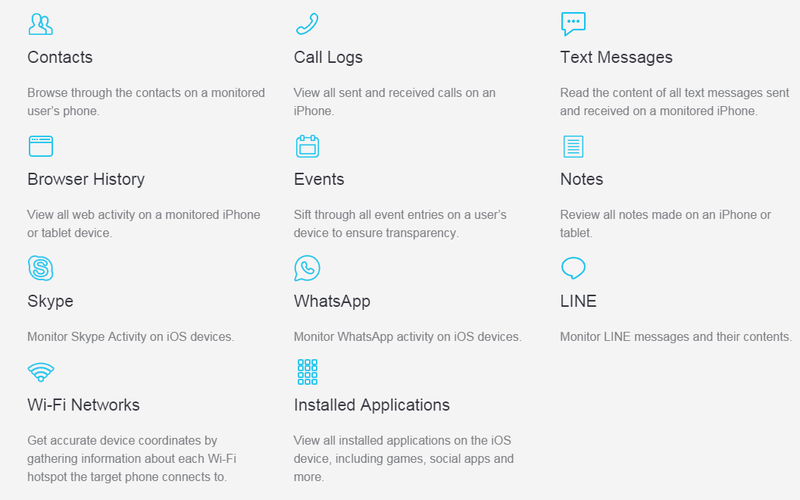 This advance monitoring software now offers monitoring without having to jailbreak an iPhone. While some of the features will require the iPhone to go through this process, there are many you can gain access to without altering the iPhone. Depending on your monitoring needs, this could be the solution that you have been looking for. Plus, if you choose to use mSpy without jailbreaking the iPhone, you will not need the device in hand for installation. It will be set up through iCloud, and all logs will be available on mSpy’s online Control Panel. The control panel is very user friendly, and provides a number of reports. This allows you to find the information that you are looking for with ease. You will need to ensure that iCloud storage and backup are turned on. Since you do not download the app on the iPhone directly, you will only gain access to data that is backed up on the iCloud account. © www.mobileiphonespy.com. All rights reserved.